There are many things that are often present in the garage. Usually you will have a toolbox, a garage vacuum, a workbench, power tools, and air compressor, among others. One thing that is uncommon, yet can be useful in more ways than one, is the best garage heater. This will especially be helpful during the cold season. For a lot of people, the garage is underutilized. However, if you consider the possibility of having a heater, you can use the space efficiently. You can use it as a small home gym, or even a workspace. All that you need is to provide the heating that is necessary. Clueless about which garage heater can provide the best value for money? If you are wondering, keep on reading, and we’ll provide you with valuable insights. From the essential factors to consider to the top choices that are available in the market, we hope that this article will help you. Also known as the shop heater, the primary function of this appliance is to provide spot heating that is needed in your garage. 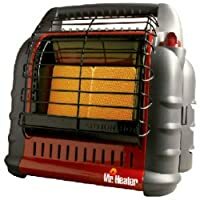 This is an essential investment for the winter if you live in a place that is basically cold year-round. They are known for their energy-efficiency, allowing such to be used without worrying that electricity will shoot up. Also, as it will be mentioned later, there are different sources of power, including gas or kerosene. Depending on the specific brand and model of the garage heater that will be chosen, their power and functionality can vary. More often than not, however, their power will range from 1,500 to 5,600 watts. With the latter, they will be enough for heating space with a size of 150 to 560 square feet. Fixed Garage Heaters: This means that the garage heater is mounted, usually in the ceiling or wall. They are wired and they cannot be moved once they are already installed unless you unscrew it. They are also usually more powerful compared to their counterparts. Portable Garage Heaters: As the name implies, this is a type of heater that is movable. You can adjust its position or bring it in any other indoor space that needs to be heated. They are excellent in terms of versatility, as they can be used in different places. Electric or Fan-Forced: From all the types, this is perhaps the most popular. They are known for many benefits that they can deliver, specifically its ease of installation. First, electricity will be converted into heat. After this, the fan will draw cold air from the garage and then blow it again to create the heating effect. They are also known for the ability to heat quickly. Radiant: In the case of this type, it will provide spot heating. This means that the heat will be directed to a specific target. It does not warm the entire space. This is an excellent choice if you want to heat only a specific portion of the garage. However, you need to be always near it to feel the heat produced. Infrared: This uses innovative infrared wavelengths to produce heat. It does not come with a fan, which is beneficial because this means that it will not produce a loud noise. 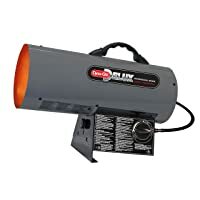 Similar to radiant heaters, it also directs the heat in a specific portion of the garage. 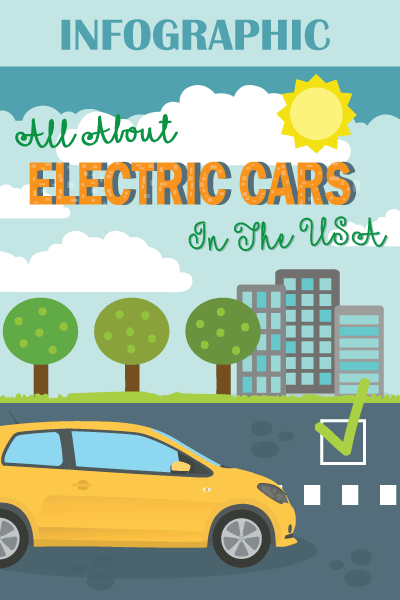 Natural Gas, Diesel, or Kerosene: While the products that have been mentioned above use electricity as the main supply of energy, these models use gas. They are also portable since they do not require electricity. However, they usually have high risks, which is why caution must be observed in their use. Power: This is one of the most important technical specifications that should be considered. It will be indicative of the power and performance of the heater. The source of power or type of the heater will have an impact on how powerful it will be. Size of the Garage: This is important to ensure the heating efficiency of the heater that you will purchase. If you have a large garage, you need a more powerful heater. If not, you will end up still suffering from a cold temperature. Installation: This is especially important for models that are fixed in a specific position. You should be able to install it in a snap. The manufacturer must provide comprehensive instructions to let you easily accomplish its assembly. Safety: Do not also forget to pay attention to the safety features that you can find in the product. This can provide you with peace of mind in its use. For instance, for portable models, it is good if it automatically switch off if in case it trips. There should also be protection from overheating and the housing must stay cool, even with prolonged use. If you are having a hard time deciding which one to choose, the following are the products you might want to consider. 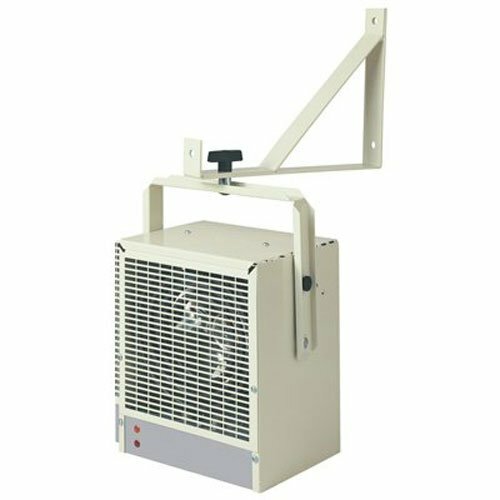 The heating capacity of this garage heater is one thing that gives it an edge above many others within the competitive landscape. It can deliver up to 18,000 BTU / hour, which will be more than enough for heating a garage that is as large as 450 square feet. 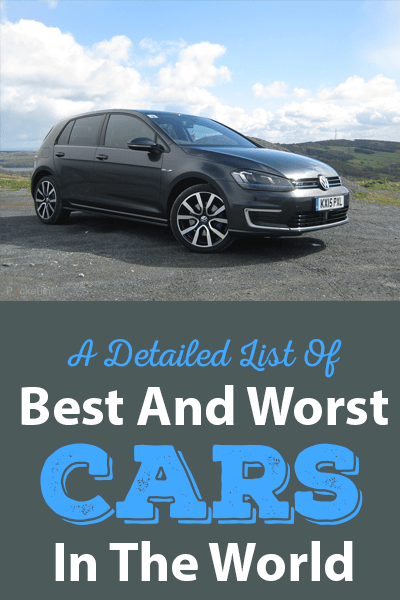 In terms of safety, it also has the features that can give you peace of mind. One thing that we love is the presence of an automatic tip-over switch, allowing the unit to power off when it trips. There is also a built-in sensor that will provide a warning when there is low oxygen. The four-position heat control is also a good thing when it comes to versatility. This means that you can choose the specific heat to be produced by the unit, depending on what you require. Doing so will be surely effortless. Lastly, it has an ergonomic handle that makes it easy to bring it with you in different places. 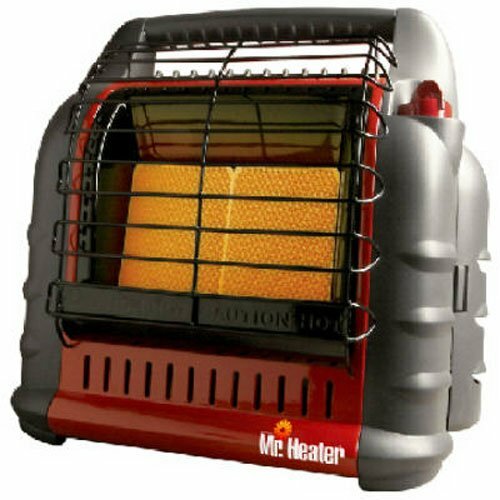 It is a portable model that you can bring wherever you need heating. Among others, one of the best things about this product is its built-in thermostat, which will make it easy for you to adjust the temperature from low to high. This also means that you will have complete control in choosing the heat output of the product. Another feature that is worth noting is the built-in storage for the cord. When it is stored, you can keep it neat. This will also prevent the cord from ending up being tangled. There are standard safety features that are included in the product, such as automatic shutoff in case of tipping and protection from overheating. Strict tests have also been conducted prior to being released in the market. Yet, there are some complaints about how it can be a potential hazard. 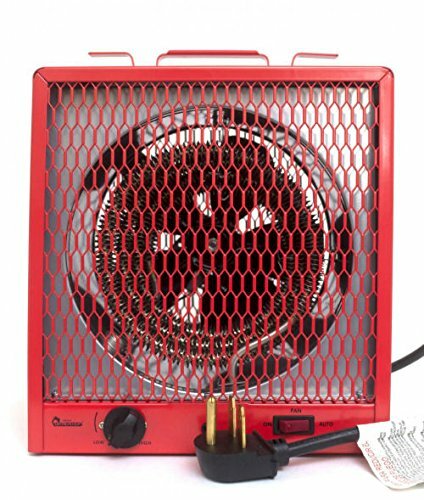 Lastly, this is a 30-amp garage heater that will be more than enough to heat garage that has a size of up to 600 square feet. Looking at the features of this product, one thing that makes this impressive is the adjustable heat angle, providing you with the opportunity to customize its heating direction. You can simply adjust the leg to determine where the heat will be directed. In terms of ease of use, this can also be exceptional. The box comes complete with everything that you will need to complete the assembly. Based on the information from the manufacturer, you will be done in just about three minutes. It should also be pointed out that it comes with a steel base, which is known for its durability. To add, the latter is also excellent because it protects the motor from damages that can be caused by dirt and dust, amongst other external elements. Lastly, the brass nozzle that is included will also be commendable. It is made from a material that is almost indestructible. This is another option that can prove to be perfect for those who are looking for a user-friendly alternative. Its installation will be a snap to accomplish, even if you have not done anything like it before. The thermostat of this heater can be manually adjusted. This means that you can control the specific output of the heat that is produced by the appliance. 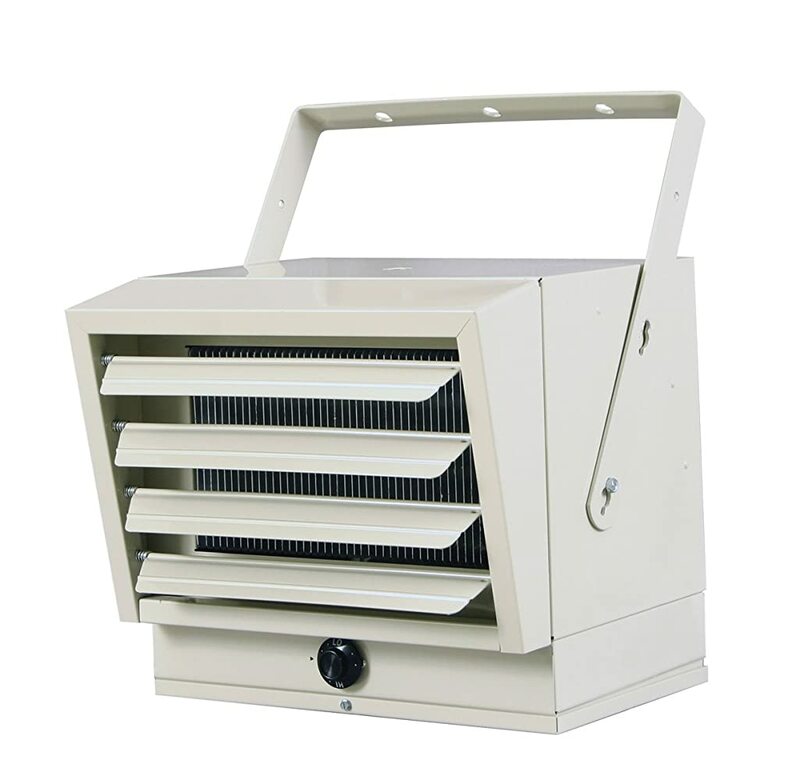 There are also louvres, which will allow you to direct the heat upwards or downwards. 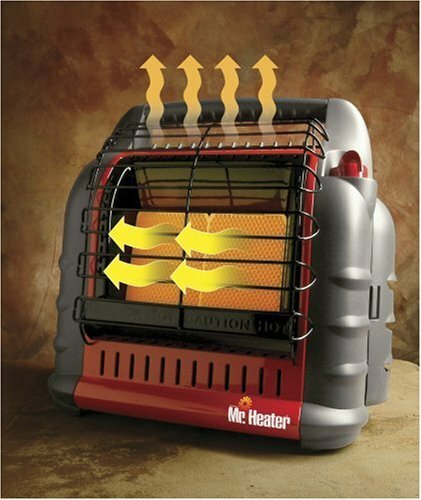 This heater can produce up to 5,000 watts of power. This is more than enough to efficiently heat a garage with the size of 500 square feet. Lastly, we also loved how it has long-lasting components. Even after several years of use, you will love how it will deliver exceptional durability. If you are looking for a budget-friendly alternative, this is one product that you might want to take into consideration. It comes with an economical price. With this, do not expect it to be high-end. Yet, given its cost, its performance will already be sufficient. This garage heater has 13,640 BTU. It also comes with an automatic temperature control. This means that there will be no need for you to make manual adjustments. It is able to automatically detect the temperature in the garage and uses such as the basis for determining the power that it can provide. The mounting bracket that is already included will make the installation a breeze to accomplish. You can easily secure it in place. Lastly, it is also a good thing that it comes with a swivel feature, allowing you to concentrate heat in a specific position. Nonetheless, despite this, the motor does not run as efficiently as others. With this, it will be best if you limit its use in a small garage to enjoy its heating efficiency. 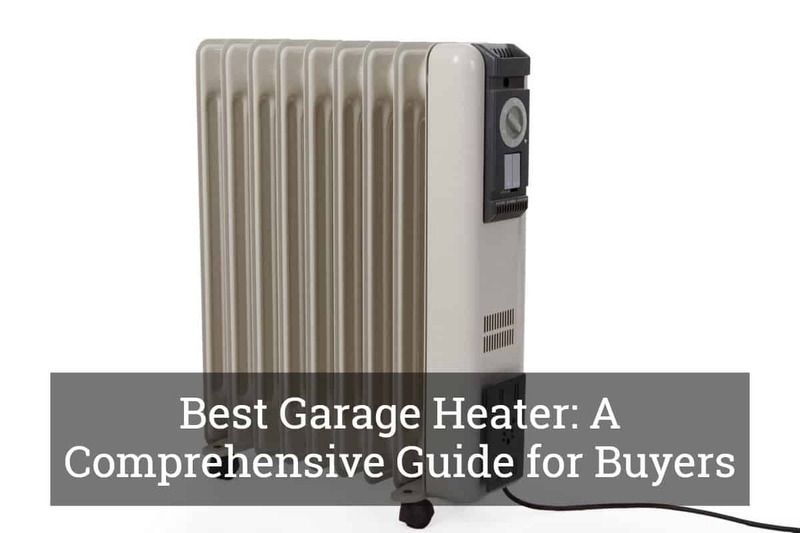 In sum, the best garage heater will indeed be a necessary investment. This will help you to make use of a space that is often not utilized efficiently. You can turn the garage into a workshop or use it for any other purpose. Even when just working with basic car repairs, the addition of a heater will be a great thing, as it can make you more productive. However, this does not mean that you can choose just any product. To fully maximize the benefits, you need to do your research and decide thoroughly. With this, it would be best if you narrow down the possibilities to the five products we have mentioned above. Are you looking for other products for your garage or car? Click here and discover more possibilities.